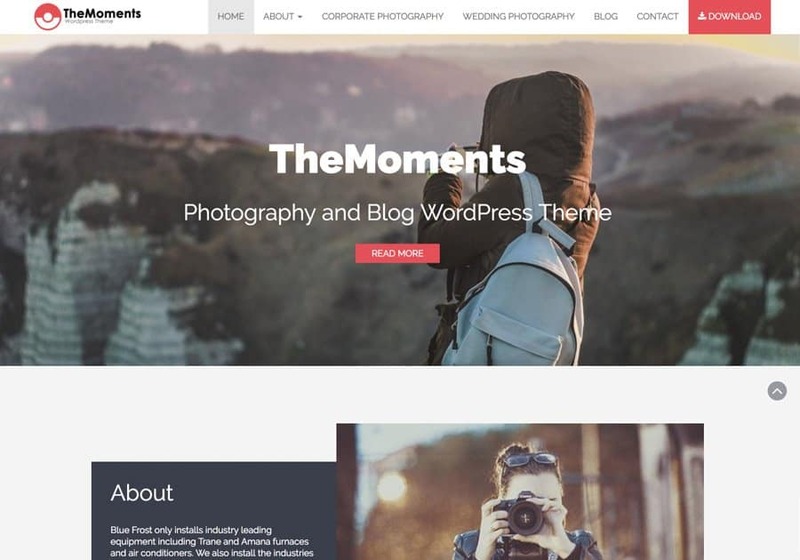 Here we have a list of Bootstrap Photography Themes perfect for any photography websites. 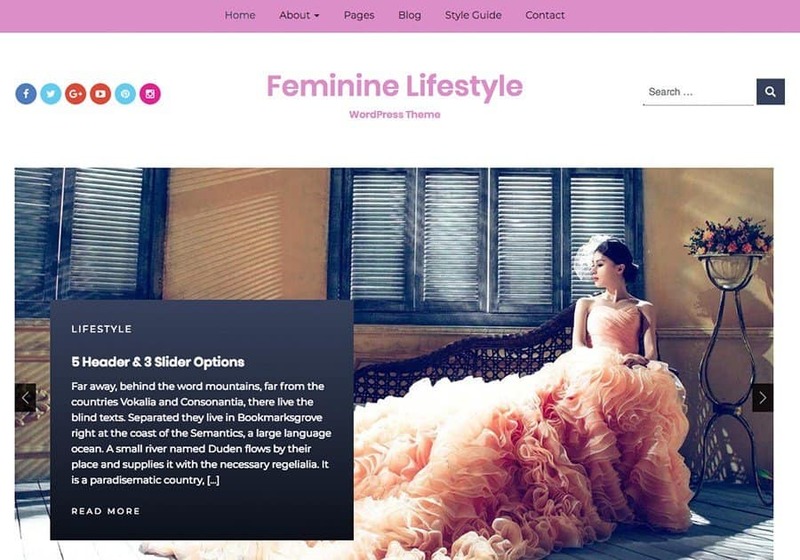 All of the themes mentioned below are fully responsive and free. Bulk is a multipurpose, fully responsive and modern WordPress Theme. It is perfect for photography websites with rich content. It supports WooCommerce and is translation ready. 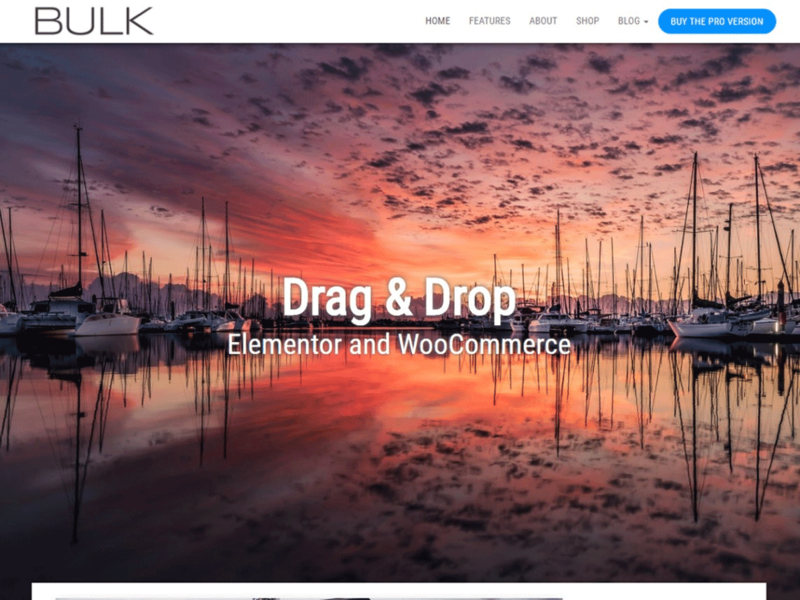 Developed for the Elementor drag and drop page builder, you can use Bulk to build any type of website. 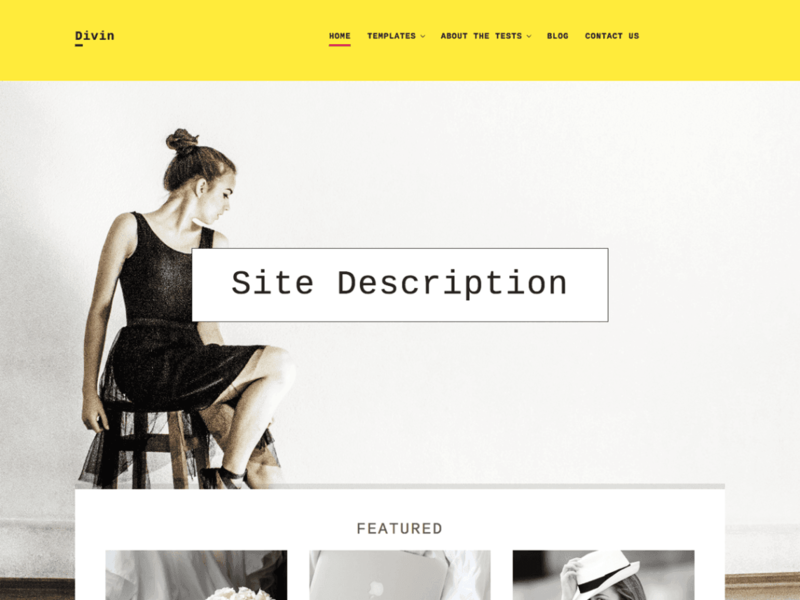 Athena is a feature loaded, fully responsive, professional looking and modern theme created with SEO in mind. Athena allows you to fully customize your site without having to change the code. It is ideal for freelancers, photographers, bloggers, musicians and so on. It gives a personal feel while keeping that professional look. Nikkon is a multipurpose and fully responsive WordPress theme with a clean design. 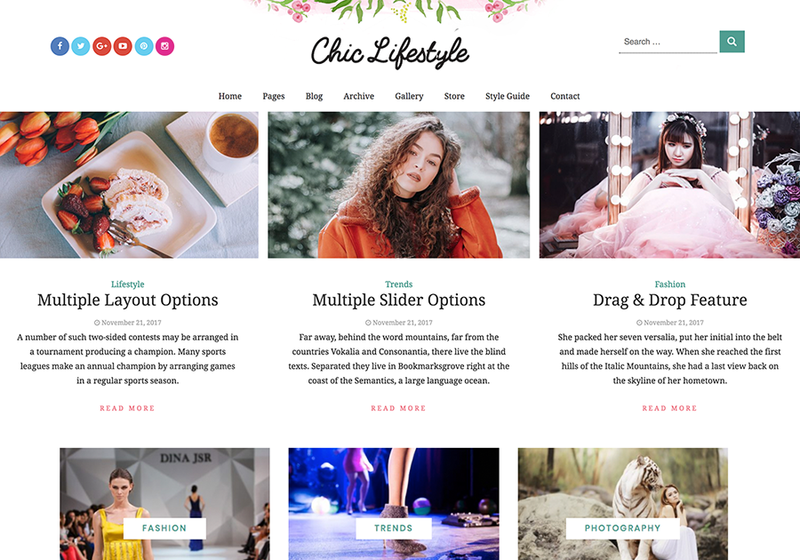 It supports WooCommerce and with its multiple headers, footer and page template layouts you are easily able to build any type of website you need from a simple blog to an eCommerce Online Store. You can easily use this to turn your website into a content-rich photography website. 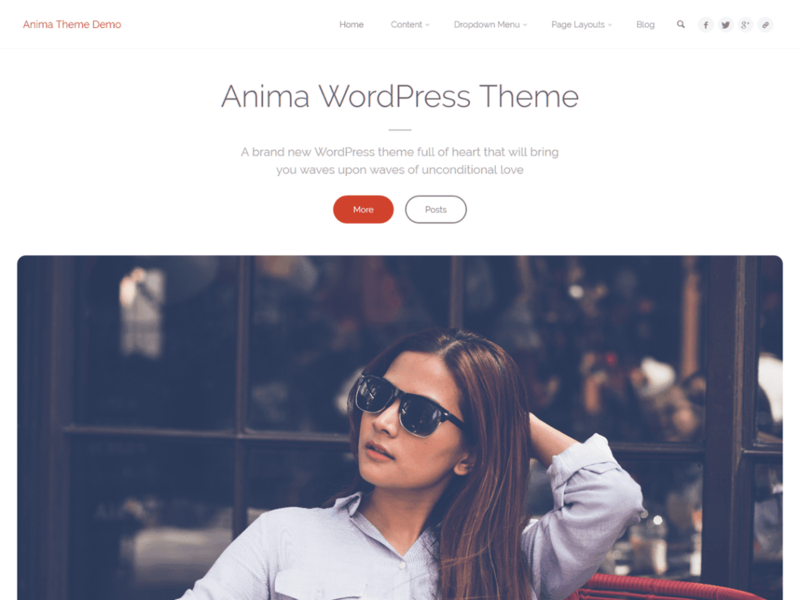 Anima will be ideal for photography websites, freelancers, corporate sites with its clean and modern design which is fully responsive and highly customizable. It supports WooCommerce, qTranslate, WordPress Multilingual Plugin and more. It is also SEO ready and the landing page comes with a slider, countless featured icon blocks, boxes and text areas, all editable. 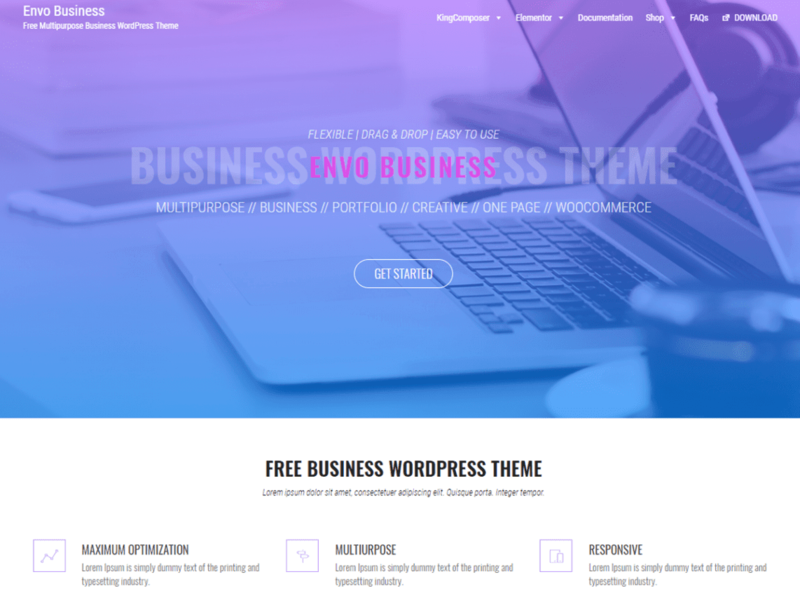 Envo Business is a mobile friendly and fully responsive WordPress theme developed for KingComposer and Elementor Drag and drops page builders. It is flexible, clean and modern and has WooCommerce support which makes it suitable for photography websites, corporate, eCommerce store and much more. 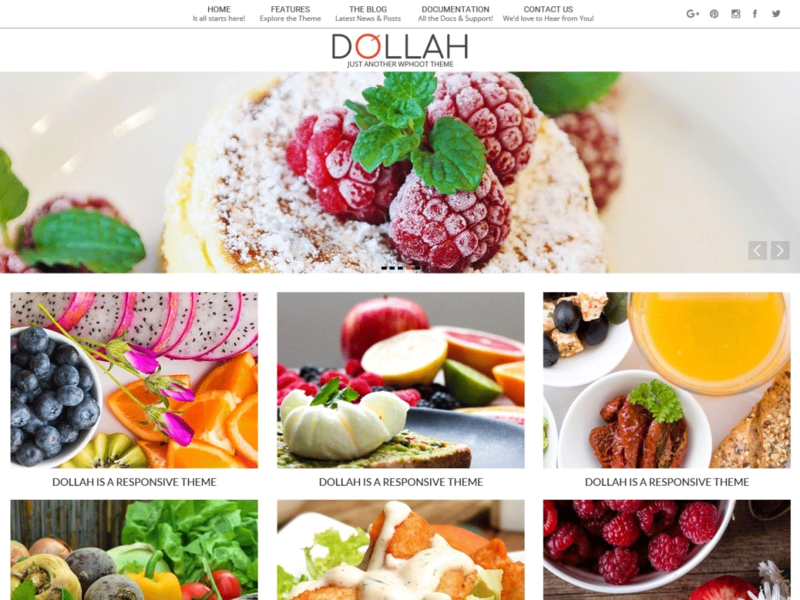 Dollah is a fully responsive and ultra flexible WordPress template perfect for photography websites. It was built on an SEO friendly frame framework and has fast load times. It is focused on great user experience. It is compatible with google maps, polygang, contact plugins and more. 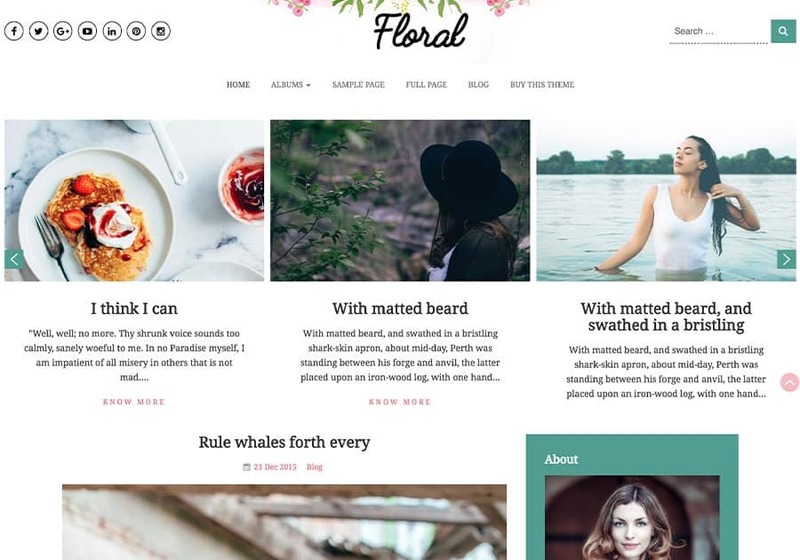 Journal Blog is a fully responsive WordPress theme which is simple yet stylish. It is suitable for photographers, writers, bloggers, and authors. It gives off a professional feel while keeping the stylish design. It is also mobile responsive. 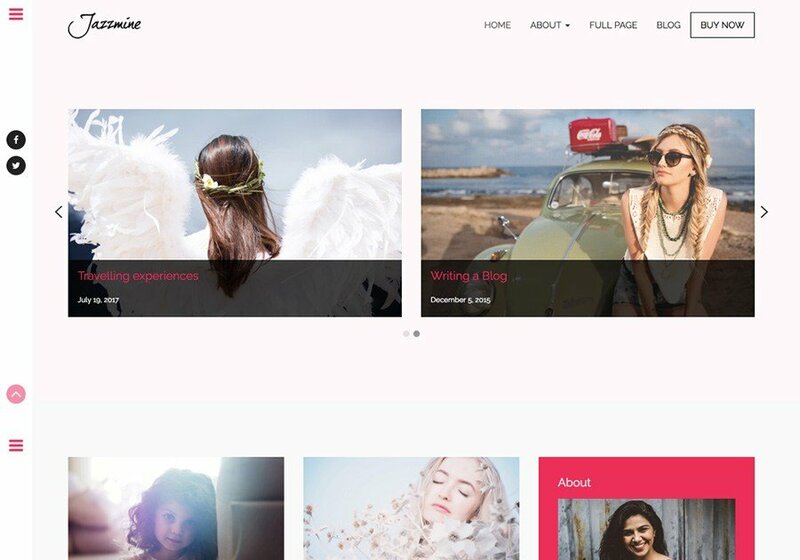 Divin is a divine WordPress theme especially crafted to put your website in the limelight by focusing more on content. It is fully responsive and was made with zero programming and coding. It is designed for clarity with clean typography. It is suitable for photographers and bloggers. This feature do not support video and 2 or more picture. May be you have to use another script for that. In the large picture at the top, there are rectangles next to the left/right buttons. Is it possible to remove these errors? Excellent contribution . There are icons that are not on the template EXAMPLE For the service , Twitter , Facebook , how do I fix this? This is static HTML page, you will have to ask your developer to code it for you. Hello Annerie, working contact form is very important, make sure you are putting right information of SMTP server, port no, SMTPAuth these are very important in contact form, basically i was working for 2 months to make my own code and is working, now through contact form the client will be able to receive email on their info@example.com. This is static template. You can download our other premium theme to get the working contact form. It says Premium now. I take it the form is functional for the $13 price? it is not free, than why written free on your site? It was free previously, we have made it premium now. This does need to be changed. Godd job changing it. It’s still listed as a free template on other websites butr at least it’s clear that it’s no longer free once you get here on this page. How can i Add a tittle to the imanges of the slider? You can add title for sure. You will see this code. Thanks a lot for the comprehensive post ! Any reviews on this provider templatemonster.com ? I’ve been watching for it during some time, rather quality themes. 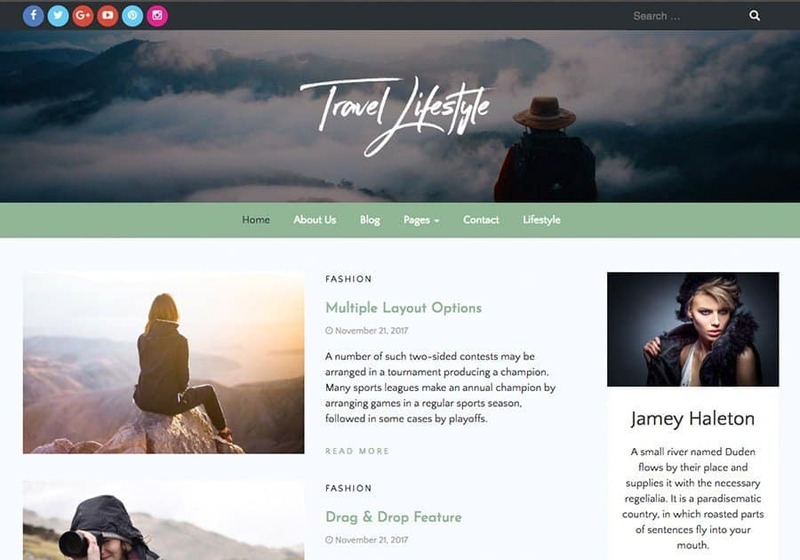 These guys offer 50 % discount now, I’d like to purchase a template, but want to find recommendations 🙂 I also heard the price will rise in the next year ( according to this post scratchinginfo.net/ceo-templatemonster-david-braun-secrets-success/ ), so that now is the best time to purchase a theme. Thanks a lot for the comprehensive post ! Any reviews on this provider templatemonster.com ? I’ve been watching for it during some time, rather quality themes. These guys offer 50 % discount now, I’d like to purchase a template, but want to find recommendations 🙂 I also heard the price will rise in the next year, so that now is the best time to purchase a theme.